Some units have higher levels of Ibuprofen concentration. 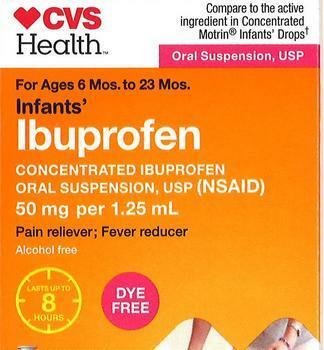 Tris Pharma is expanding its earlier recall of Ibuprofen Oral Suspension Drops by adding three additional lots. No serious adverse events have been reported to date. Consumers with questions regarding this recall may contact Tris customer service at (732) 940-0358, Monday through Friday, 8:00 AM – 5:00 PM (PT) or by email at micc_tris@vigilarebp.com.